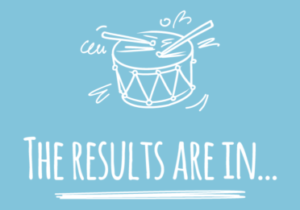 Results finally came out after a jam in the online notification portal, but here are some relevant links to study at your leisure. Good luck to the 8th graders! Wherever you end up, make the most of your time there as high school breezes by so quickly! 1. How will families find out the results of their applications to preschool through eighth grade? Online applicants to the four magnet preschools (Drummond, Inter-American, Mayer and Suder) through eighth grade will receive their first-round results on April 27th via their online GoCPS account. Paper applicants will receive a notification letter sent via U.S. mail to the home address on their application. In addition, paper applicants can view their results on an online GoCPS account that has been opened for them by the Office of Access and Enrollment. All applicants will receive more information on this process the week of April 23rd via email and robocall. Results will be posted on April 27th between 2 p.m. and 11:59 pm. 2. Will the Non-Selective Enrollment letter and the Selective Enrollment letter appear on the same screen online, or will families have to navigate to two different screens to accept or decline a seat? The results on the online account will all be on the same screen, along with a button that allows families to also download and print a hard-copy Non-Selective Enrollment letter and a Selective Enrollment letter. The letters that are mailed to the home address of paper applicants are two separate letters, one for Non-Selective Enrollment programs and one for Selective Enrollment programs. 3. How do families accept or decline an offer? Online applicants will accept or decline offers via their online GoCPS account. Paper applicants can accept or decline offers by submitting a paper confirmation form that they will receive with their paper notification letter or via the online GoCPS account that was opened for them. Applicants will have until Friday, May 11th to accept or decline an offer. 4. Can a student accept both a Selective Enrollment offer and a Non-Selective Enrollment offer, and decide which one they want later on? No. Students can only accept one offer. 5. Can students change their mind about accepting or declining an offer if they want to change it before the decision deadline? If a student DECLINES an offer, they cannot go back and change that decision once it is submitted. If a student ACCEPTS an offer and later decides that they want to decline it, they can do so. 6. What time is the deadline to make a decision on May 11th? The deadline to accept or decline offers is 6 pm on Friday, May 11th if the applicant is submitting a paper confirmation form, and 11:59 pm on Friday, May 11th if the applicant is making their decision via their online application account. 7. Will the families receive an email confirmation after they have made their decisions to accept or decline offers? No. Families will see a confirmation page online after they submit their decision. For their records, they should either print this page of save it to PDF. 19. Do Selective Enrollment schools have sibling preference? No. 20. When will students receive Selective Enrollment test scores? Selective Enrollment test scores and total points, if applicable, will be on the students’ notification letter that is released on April 27th. The 2018-2019 CPS High School notifications were released on Friday, March 30. The “First Round” deadline is April 13, and then families can enter into a “Second Round” for any leftover available spaces. Information regarding the GoCPS high school application process can be found in the High School FAQs. If you have additional questions, contact the Office of Access and Enrollment at 773-553-2060 or gocps@cps.edu. Principal Discretion is a process that allows Selective Enrollment High School principals to fill a designated number of ninth grade seats, outside of the regular selection process, based on information provided through application packages submitted by students. Applicants to ninth grade can apply to a Selective Enrollment school through the Principal Discretion process if they (1) did not receive a Selective Enrollment offer, or (2) they received a Selective Enrollment offer but would like to be considered for a different Selective Enrollment High School. (You do not have decline an offer in order to apply for Principal Discretion). The Principal Discretion application period for the 2018-2019 school year begins at 9 am on April 9th and ends at 6 pm on April 20th. The application will be posted beginning on April 9th. Click the links below to access the Principal Discretion Handbook and Frequently Asked Questions. The handbook provides step-by-step instructions for submitting a Principal Discretion application package and contains the guidelines and requirements for the process. If you have questions after you review these documents, contact the Office of Access and Enrollment 773-553-2060 or gocps@cps.edu.